It's the summer of 1976, endless days without rain, and Mrs Creasey has gone missing. Mrs Creasey who was everyone's friend and knew all their secrets. 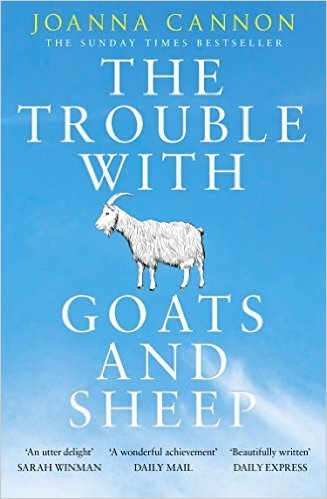 Ten-year-old Grace and Tilley think that if they find God on The Avenue, He will keep everyone safe and stop anyone else from disappearing, or at least the sheep - maybe not the goats. But how do you tell who is a sheep and who is a goat? This is a wonderful book, the gradual unfolding of the characters' pasts really draws you in, though the ending didn't really seem to fit. Sent to gunmarga as my RABCK for January. Enjoy! Thank you greenbadger. The book came today. I look forward to read it. It's nice to get a new book. The author is unknown for me so it's a bit exciting too. Det här är en berättelse om bara ett visst antal människor som bor vid samma gata. Två små flickor funderar på varför Mrs Creasy är försvunnen. De försöker också komma på vem av grannarna är getter eller får. De som är får är godhjärtade. Berättelsen innehåller flera humoristiska inslag men också en del obehagliga scener. Den visar också hur människor kan samlas runt en religiös bild och då glömma bort oenighet. Jag tyckte boken var intressant även om jag velat läsa mer om de små flickorna. This is a story about just a certain number of people living in the same street. Two little girls wonder why Mrs Creasy is missing. They also try to determine who of the neighbors are goats or sheep. Those who are sheep are good-hearted. The story contains several humorous elements but also some unpleasant scenes. It also shows how people can gather around a religious image and forget about disagreement. I thought the book was interesting even though I wanted to read more about the little girls.